Extreme Marquees has recently released a fantastic cost effective solution for companies and businesses that want to promote their brand on our True Blue folding range of marquees. Our solution starts with the branding. Every panel on the canopy can be 4 colour screen printed with your design. 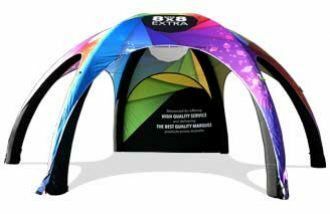 We have a large range of canopy colours available or should your order be for 100+ canopies, we can make the fabric to your custom pantone corporate colour ( less than 100 surcharge applies). The 3x3m True Blue 2 screen printed marquee offers the ultimate corporate branding solution. Exceptional value for money and perfect as a company gift to schools, clubs and valued customers. The 3.0×4.5 True Blue 2 branded marquee offers unparalleled value. The large roof panels are suited for company logos and corporate branding. 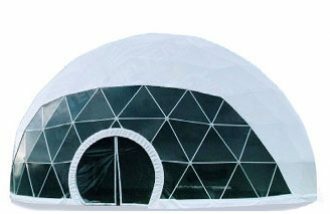 Our bulk marquee full roof print prices are the best in value in Australia. The 3.0×6.0 True Blue 2 promotional marquee offers both shade and a great place to advertise your company. Full 4 colour screen printing on every panel offers exceptional value for large companies or event organisers that are looking for unique marketing strategies. Branded marquee walls are the ideal product to accompany any marquee package. The walls not only provide protection from the sun and wind, but offer another great promotional space to advertise your business. 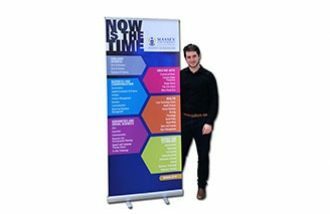 Why choose Bulk Promotional Marquees? 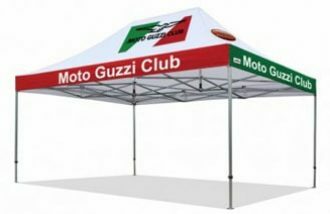 The canopy’s are made from our heavy duty, waterproof, UV50+ PVC coated fabric. Should you need a different message on each roof, Extreme Marquees provides a detachable printed valance solution. The True Blue promotional marquee range frames are built tough. Not just great looking, but strong too! Our True Blue frames are made from 45mm hexagonal cross section legs, large 30x15mm truss bars and large steel feet for stability. Safety and compliance are of paramount importance at Extreme Marquees. Our True Blue range of marquees have full engineer structural certification. Frames are currently available in blue or black or for orders over 500, can be powder coated to any pantone colour.